Healthcare Reform is complicated. The Congress has tried and, so far, has not been able to reform the Affordable Care Act (ACA). The American public’s opinion about reform spans the whole spectrum: there are those who prefer a Canadian style single-payer system, and there are those who believe that each individual State should be given the latitude to design plans unique to their state. Whatever change may come, for at least the next couple of years, we still have the ACA, even if a few tweaks are implemented. The job of your health insurance agent and licensed counselor is to find the plan that best meets your needs at the best possible price. You need an agent who can help find the right plan for you. 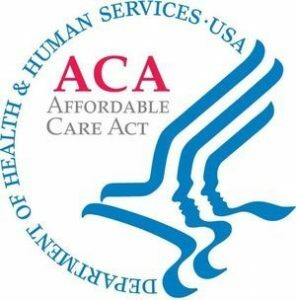 Many ACA clients qualify for subsidies (i.e., advanced premium tax credits) and can take advantage of those when enrolling through the Health Insurance Marketplace. For those whose income is too high for a subsidy, there are also options to enroll in plans off the Marketplace. The value of a good agent cannot be overstated: maneuvering through the complexity of getting approved for a subsidy and making sure that the plan you choose has the medical providers you want are all essential. Misunderstanding the Modified Adjusted Gross Income (MAGI) and receiving an incorrect subsidy that they have to pay back the next April 15. Selecting a plan that does not have their doctor or hospital in the network. Not realizing that they must select a silver plan to get Reduced Cost Sharing (RCS). RCS is a substantial reduction in the deductibles and out of pocket caps. This is in addition to the premium subsidy (i.e., Advanced Premium Tax Credit). In Michigan, singles earning less than $29,700 annually qualify for RCS. For couples, they can earn up to $40,050 and receive RCS. Those figures are adjusted up for each dependent child. This is complicated for the average person, which is why you need a qualified agent. A licensed agent can also help you make choices involving Medicare Supplemental, Medicare Advantage, and Part D prescription drug plans. For those already on Medicare, the annual election period to make changes to your plan begins this October 15 and extends through December 7. To learn more, please contact Ed Williams.